Scroll down to browse my list of 15th Birthday Party Ideas for parties at home or at a venue. A 15th birthday is a bit of a turning point in that teens start regarding themselves as being almost adults rather than kids. As such, the type of parties they're interested in changes significantly. They become less about games and party decorations and more about hanging out with friends, listening to music, flirting and dancing. Most of the teens I've spoken to can't understand why adults assume they're all into Justin Bieber and Hannah Montana, or why they always want to throw them 'childish' parties. So don't be surprised if they start rolling their eyes at some of your suggestions. They all want to be treated like adults, so rather than being in denial about this—you're better off helping them to design and plan a party that feels more like an adult party—but one that you've adapted to make it age appropriate for a fifteen year old. Music and dancing usually play a big part in all 15th birthday party ideas and, for girls at least, the getting dressed up/what to wear and having hair and make-up done beforehand is just as important as the main event itself. Set up a bar area and serve a selection of alcohol-free 'mocktails' in stylish glasses rather than plastic cups so that they feel more grown up. Include things like cocktail shakers, different garnishes, and even simple cocktail recipe menus so they can get involved and have a go at making the drinks themselves. You might also want to consider holding the party somewhere other than at home, which also makes teens feel you are treating them more like adults and allowing them to be more independent. For example, hiring a boat, hotel suite, party bus or other type of venue with a private room. 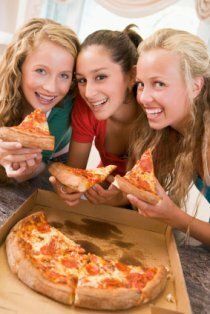 (See the story on my 14th Birthday Party Ideas page about a friend who used a hotel suite for a teen party). 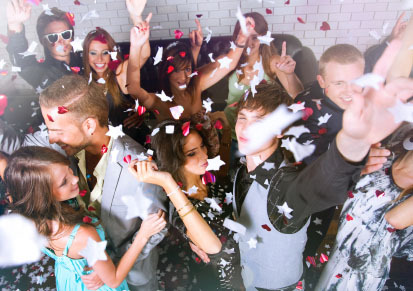 A lot of the party ideas below can easily be adapted to fit into a venue away from home. Just remember not to go too overboard with elaborate venues or hiring limo's for 15th birthdays. You don't want things to get too grand—you need to hold some things back for their Sweet Sixteen the following year—which is when they'll really want the full grown-up experience. Got Your Own Great Ideas? 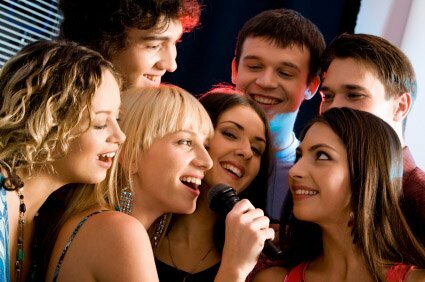 If you have some good 15th Birthday Party Ideas (or you've tried one of my ideas from the list above) share details with other party-ideas-by-a-pro.com visitors. Email me a description of the party including details of the different elements such as themes, invitations, food, and party decorations along with up to 4 photos (optional) and I'll create your own party ideas page on this site for other readers to read. I'll also feature the best ones with photos in my blog. If you can, please upload 4 photos - the more pictures that accompany your description the better your page will look. Use the form below to submit your 15th birthday party ideas. Do you have some pictures from your party to add?